I’m not actually sure who this interview was with. Was it Soulwax? Was it 2ManyDJs? I’m still not past the confusion. Oh the drama. I had arranged to meet with 2ManyDJs, which is made up of members of the Kraftwerkian band Soulwax. But not all members. So in my humble opinion, this interview was with one member of 2ManyDJs and two members of Soulwax. Now, I’ve had some challenges in my journalistic career, but interviewing two bands at the same time was a new one for me. I was prepared for 2ManyDJs, so I must apologize to Stefaan from Soulwax who spent most of the interview sitting quietly, listening to his colleague rant on about his other band. And about being tired and hating festivals, Bestival excluded (“This one seems really cool”). Fair enough, they have played almost every European festival this summer. And since they’re both Soulwax AND 2ManyDJs (well, Dave is anyways), that’s double duty. Often both bands would play within 15 minutes of each other. And both sets are quite energetic. And they ain’t gettin’ any younger. In addition to their double duty, festival crawls and outright fab taste in music, these guys have added a club night to their already overflowing plates. Look out for Nite Versions, hosted by Soulwax and featuring themselves and anyone they’re friends with or fans of. DAVE: No. I don’t want to start my usual rant. Fine. Today I like them. Today I don’t mind them too much. Actually, because this is a good line up and uh and uh and uh it’s not like any other stupid horrible festival. Loose Lips: How do you juggle both Soulwax and 2ManyDJs playing at the same festival? DAVE: I count the money? DAVE: It’s moronic, stupid music. And I love the fact that it’s moronic and stupid, but with Soulwax I guess we’re trying to have some content to the music. DAVE: Umm. Yeah. You know what? It’s really really rare that I’m not tired. You know hungry goes up and down. I’m not hungry all the time but I’m really always tired. So I would say tired. 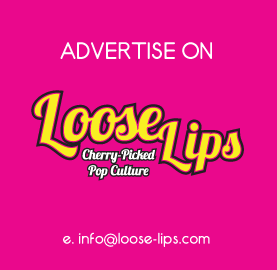 Loose Lips: We know you played the Macworld Magazine awards last year. Do you do many of these types of gigs? Loose Lips: Aw, you’re holding hands – that’s really sweet! This entry was posted on Thursday, September 15th, 2005 at 8:06 pm	and is filed under Interviews, Music.